Add the Light Cube for a little extra flash! Made and designed by a fellow END Tech! These can be personalized with your name and credentials. 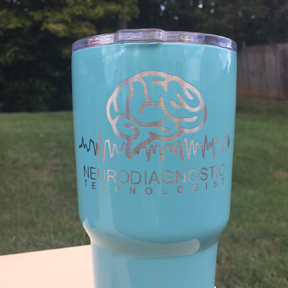 Click the button below to add the EEG RTIC Tumbler to your wish list.